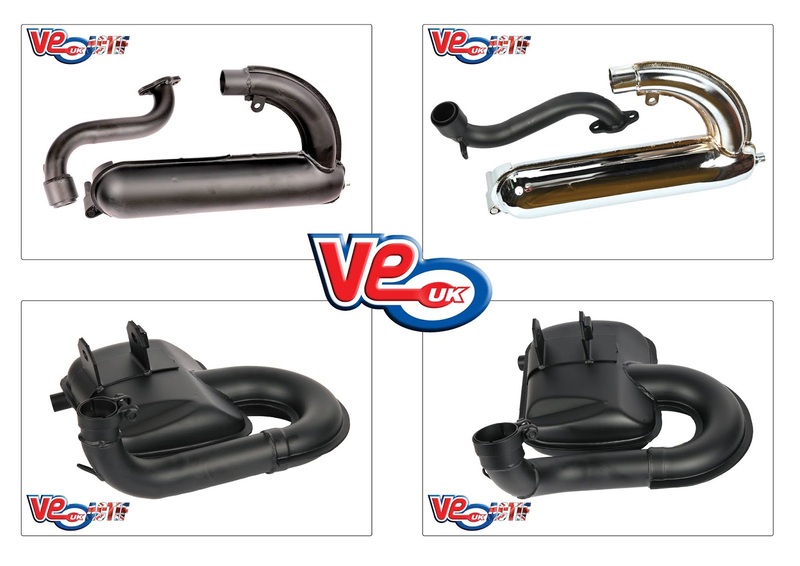 VE (UK) have introduced four new Classic Vespa exhausts into the exclusive VE Actif range of products. The VE Actif “Road Race” exhausts are a class leading quality exhaust that are manufactured for VE in Italy, they feature an expanding front pipe, and modified internals. Designed to give excellent power from low revs and pulls right the way through the rev range, whilst remaining standard in looks and keeping the noise levels sensible. An ideal choice of exhaust for both standard and modified motors. VE13322 (black) / VE13322-CR (chrome): Vespa 50, Vespa 50 Special, Vespa 50SS, Vespa 90, Vespa 90 Racer, Vespa 90SS, Vespa 100, Vespa Primavera 125, and Vespa 125 Super (Spanish model). 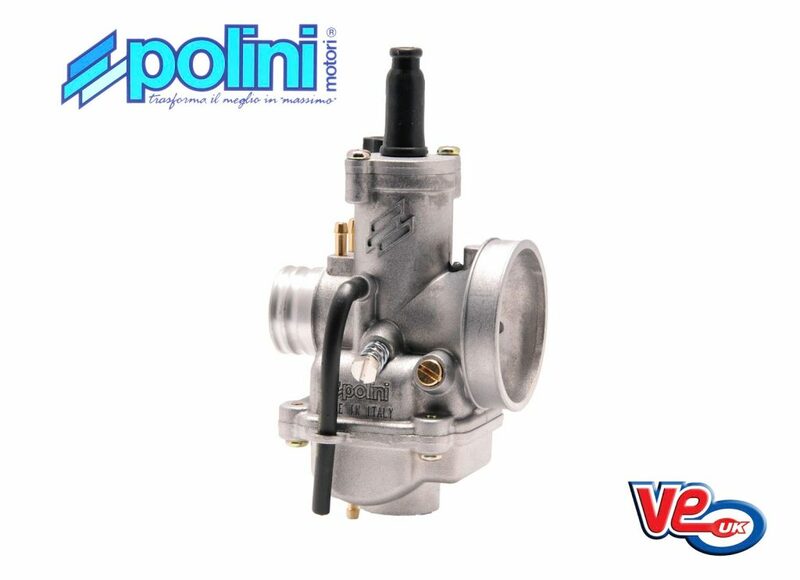 VE13323: Vespa PX125/150, Vespa 150 GL, Vespa 150 Sportique, Vespa 150 Sprint, Vespa 150 Super, Vespa VBA, Vespa VBB, and Vespa 125 GTR. VE13324: Vespa Cosa 200, Vespa PX 200, and Vespa Rally 200.